The Peg is located across from Masstown Market with convenient access off Trans Canada 104 at Exit 12, or from Hwy #2, Masstown. 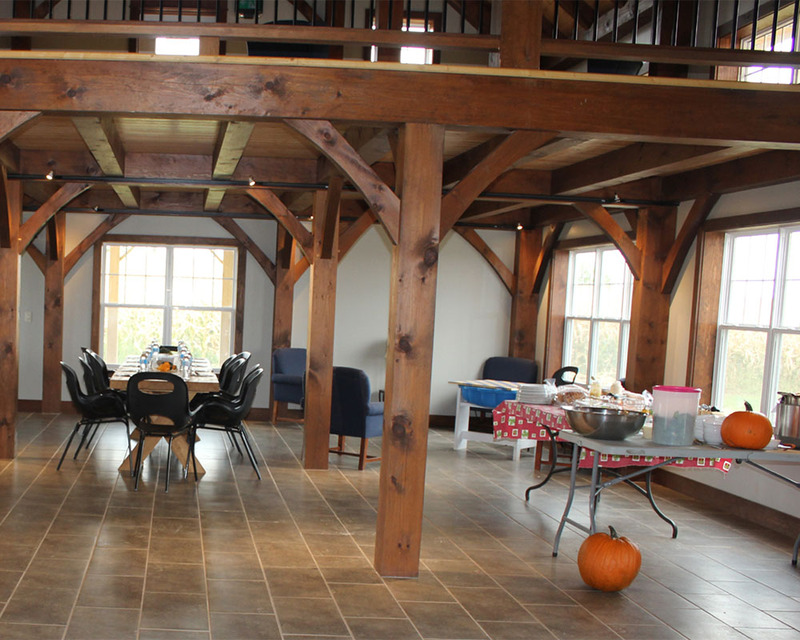 This beautiful new post & beam building is available year-round and serves as a perfect place to enjoy birthday parties, family picnics or corporate team building events. The Peg is spacious but yet presents an intimate atmosphere, perfect for business luncheons. The two levels allows for independent planning sessions. The spacious two floors are climate controlled, with comfortable seating areas throughout. Wheel chair accessible washrooms are located on the first floor. There is a snack bar on site and Masstown Market offers full catering services to suit your needs. No need to try and squeeze extended family into your living room. 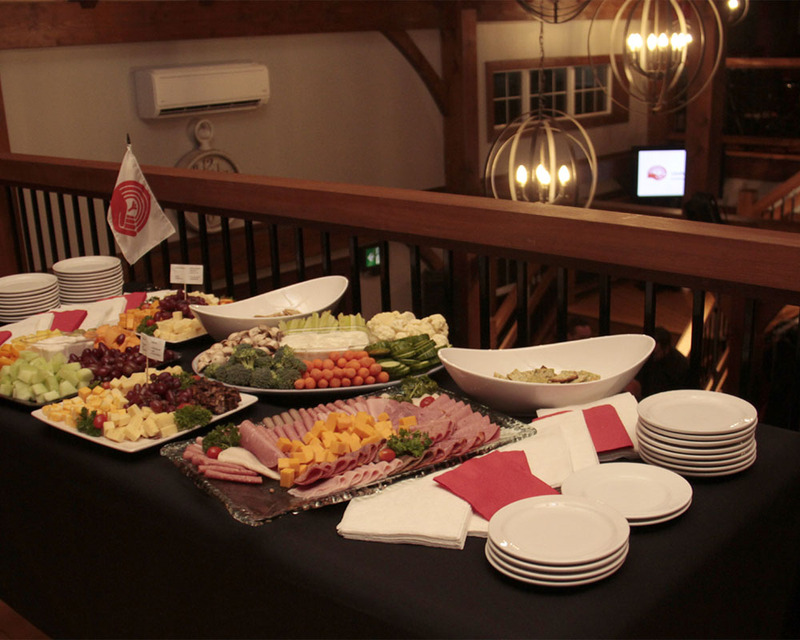 The Peg offers a warm and inviting place for friends and family to celebrate milestones or holidays. The comfy seating upstairs gives a bit of seclusion from the main event. A perfect place to sit and chat. 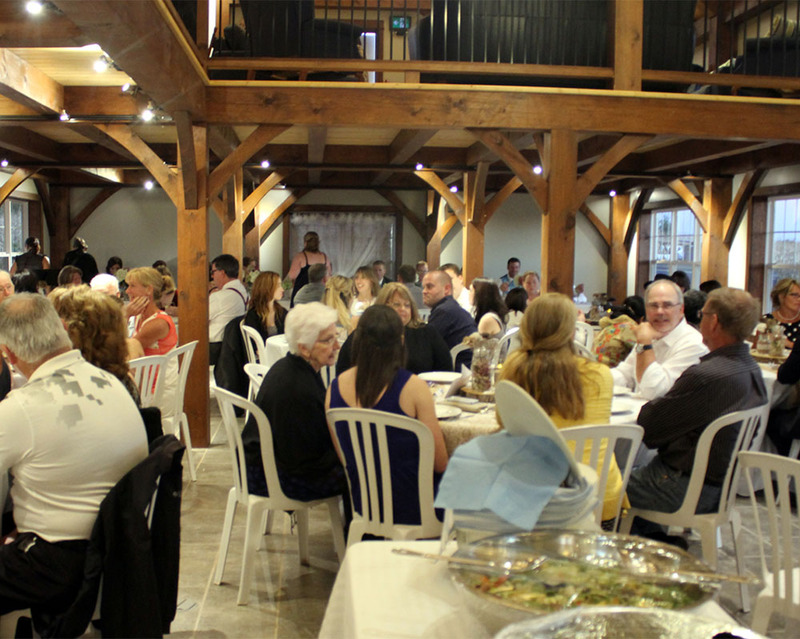 The Peg’s beautiful post and beam construction offers a blank canvas for a bride and groom to personalized with their own wedding decor. 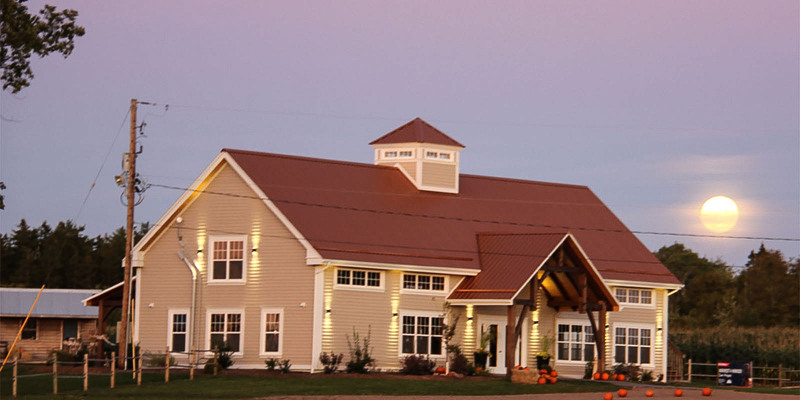 The adjacent tent allows space for wedding, reception and dance all at one convenient location. If you have any questions, or wish to book The Peg, you can do so in a number of ways found below.